The best bakeries are almost never found in the spotlight, never on the side of congested streets, and never with shop signs that span the entire width of their storefront. I know this is quite a long ways since, but in December, during my vacation in Taiwan, I discovered an obscure little gem that to this day (had it not been for their fb page) I would still be wondering if it had been once upon a dream. The reason I say this with such a fantastical flare is because its existence is as if a baking fairy’s little workshop. My mum and I were, at the time, weaving mindlessly through a web of narrow alleys no wider than a single Volkswagen bug. The street numbers made no sense, and as it had been in the late morning, the entire city seemed, still, veiled in a steady slumber. You know that familiarly eerie silence that’s vaguely audible and intensely surreal? That’s exactly what I felt. 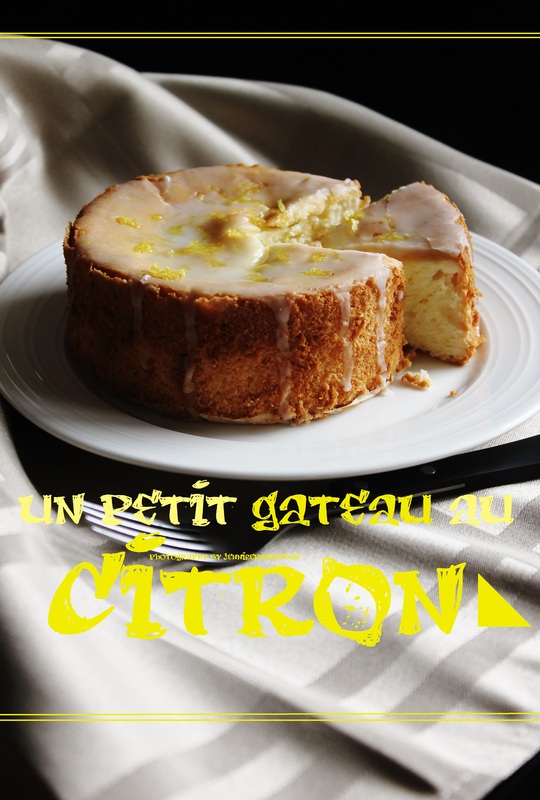 I lost track of how many corners I turned, how many spotted stray cats I disturbed, but eventually, I stumbled upon Le Ruban Patisserie and their grandmother gateau: a little lemon cake. And then I was cast under a spell. And since then I have ceaselessly been trying to recap the magic that passed me by that morning. To make the lemon cake, preheat the oven to 350 degrees F, with the rack just lower than the middle. Grease four mini (4-inch by 1 3/4 inch) springform pans with butter and dust with flour. In a bowl, beat the egg whites with an electric beater on low speed until full, then slowly tip in half of the sugar, gradually increasing the speed, until the meringue is glossy and firm. The glossiness means the sugar has completely dissolved, meaning your crumb will be more delicate. A firm, well-beaten meringue ensures that your cake will not look like it got hit by a meteorite after it cools. Set this aside. In another bowl, beat the egg yolks with the remaining sugar until it becomes a very pale yellow and falls as a thick ribbon from the tip of the whisk. Gradually beat in the oil, milk, zest, and lemon juice until even. Sift in the flour and baking powder, stirring just until smooth. Gently fold in the meringue, 1/3 at a time, until the color is consistent throughout, without any streaks of intense yellow or lumps of white. Pour the batter into the prepared pans and bake for 25 minutes. Turn off the oven, and allow them to rest in there for another 10 minutes for them to finish gently. Take them out and cool completely. To make the glaze, stir together the sugar and lemon oil. Add a little bit of water at a time, until the glaze is just a little on the runny side (you need to really rely on your senses here, it’s art after all!). Drizzle this over the cooled cakes from the tip of a small spoon or fork. Finish with the zest on top. Once the glaze has set (it won’t be a hard shell) it’s ready to eat! Enjoy with a cup of steeped English Breakfast!